Haiti’s crucial apparel industry has seen production fall 50-70% in the wake of the earthquake that struck the country on Tuesday, according to industry executives who said it will take at least three months for most of it to resume. 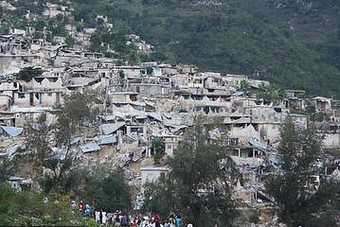 Apparel firms with ties to Haiti have rallied with offers of support for local colleagues and suppliers after an earthquake devastated the country's capital city late on Tuesday (12 January). US apparel brands and retailers were among hundreds of potential investors who took part in a conference last week to explore new business opportunities in Haiti – where plans for a $2m fund to help kick-start the country’s garment sector were also unveiled.